An undated aerial view looking north at Isle of Palms Airport from a circa 1957 SC Airport Directory (courtesy of Don Fraser). 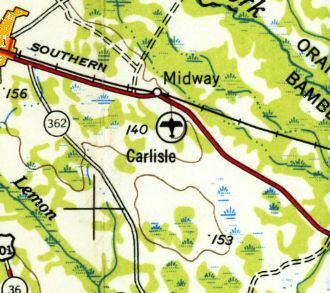 The earliest depiction which has been located of Carlisle Field was on the 1954 USGS topo map. 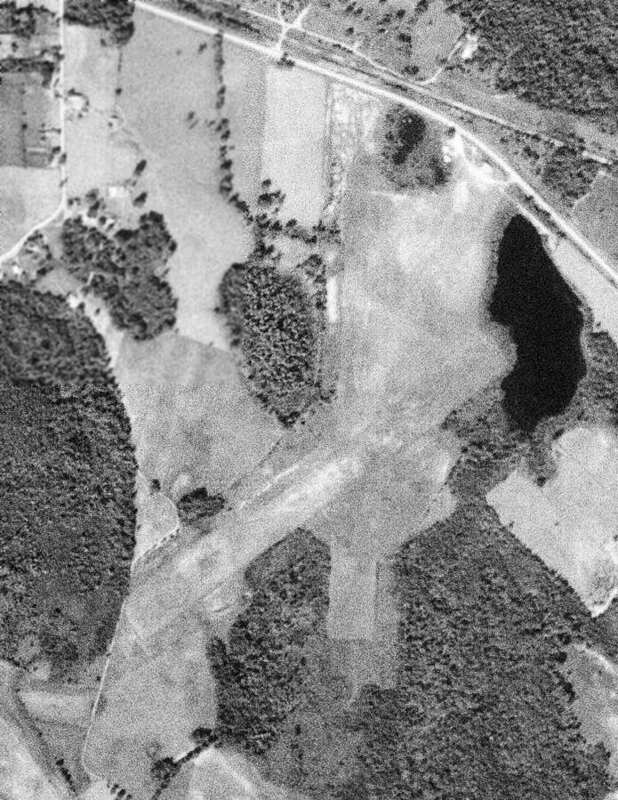 The earliest photo which has been located of Carlisle Field was a 1961 USGS aerial view. It depicted Carlisle as having 2 unpaved runways. 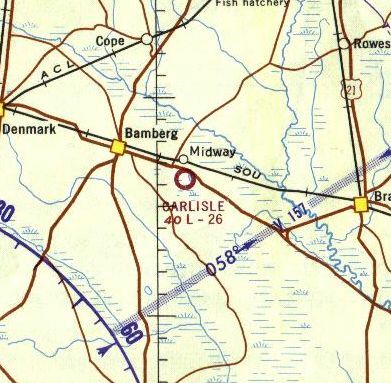 The only aeronautical chart depiction which has been located of Carlisle Field was on the 1964 Savannah Sectional Chart. It depicted Carlisle as having a 2,600' unpaved runway. 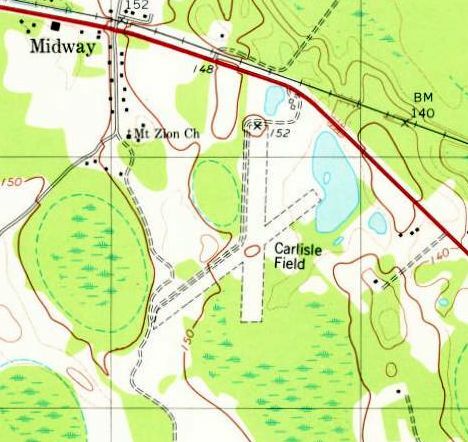 The 1979 USGS topo map depicted Carlisle Field as having 2 unpaved runways. as that is how it was labeled on a 1984 SC DOT map (courtesy of Craig Williams). 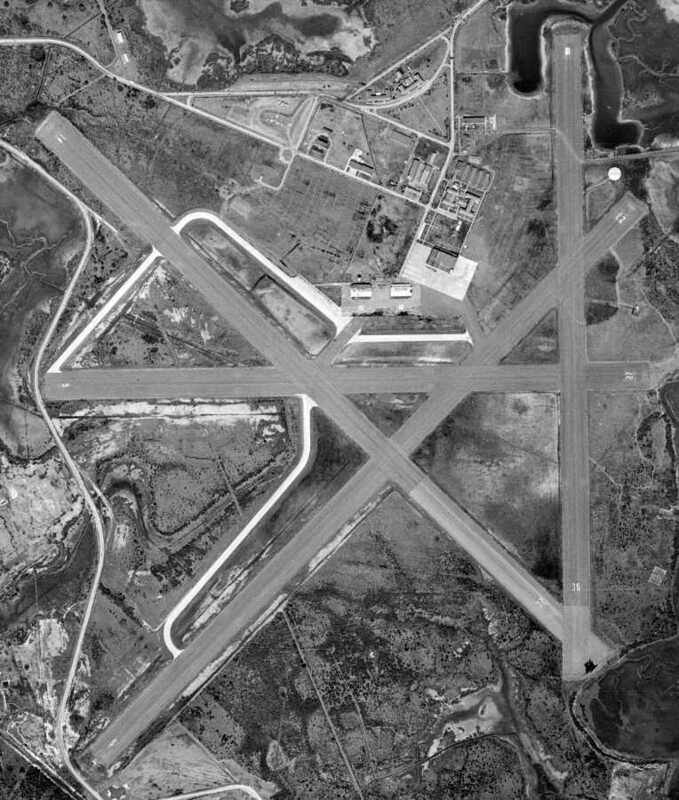 A 1989 aerial photo showed Carlise Field's 2 runways were still clear. A 2005 aerial photo showed Carlisle Field's runways were overgrown. 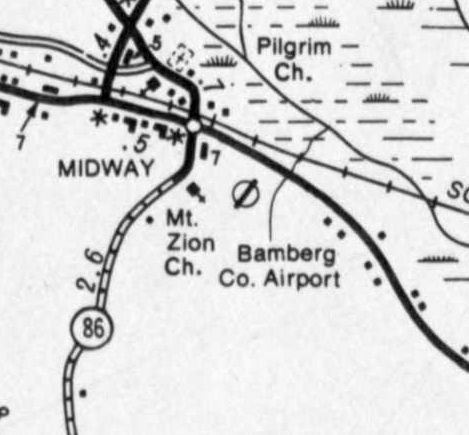 It had evidently been replaced by a larger Bamberg County Airport several miles to the west. A 2014 aerial view showed the outlines of Carlisle Field's 2 runways were still recognizable. The site of Carlisle Field is located south of the intersection of Route 78 & Dot's Court. Thanks to Craig Williams for pointing out this airfield. 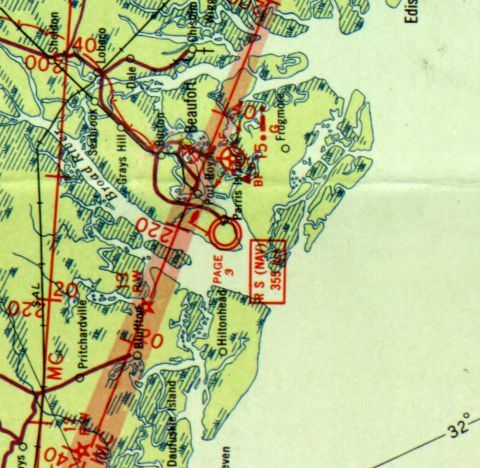 No airport was yet depicted at this location on the 1943 USGS topo map. “The Isle of Palms Airport was built in the early-1950’s to provide a recreational airport adjacent to the island’s beaches. It provided a 2,900’ turf airstrip situated along the Intracoastal Waterway. The earliest depiction which has been located of Isle of Palms Airport was an undated aerial view from a circa 1957 SC Airport Directory (courtesy of Don Fraser). 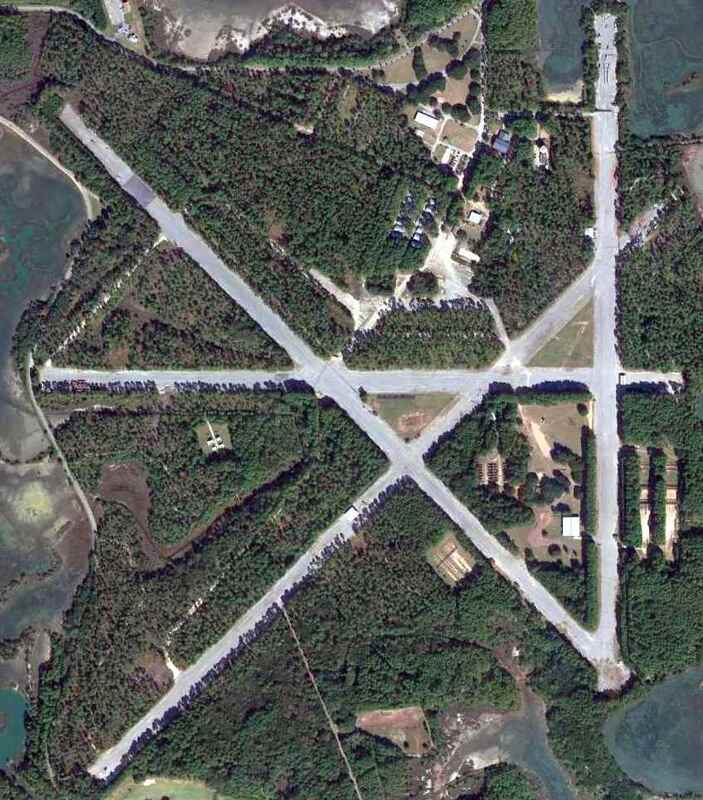 It depicted Isle of Palms Airport as having a single unpaved 2,100' northeast/southwest runway, with 2 T-hangars on the southwest side. and said that there was a proposed runway extension to 3,000'. A 3/30/57 USGS aerial photo depicted 1 single-engine aircraft parked between 2 T-hangars on the southwest side of Isle of Palms Airport. 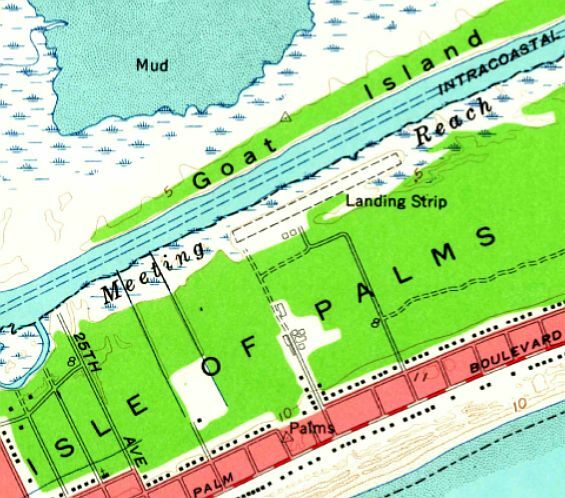 The earliest topo map depiction which has been located of Isle of Palms Airport was on the 1959 USGS topo map. 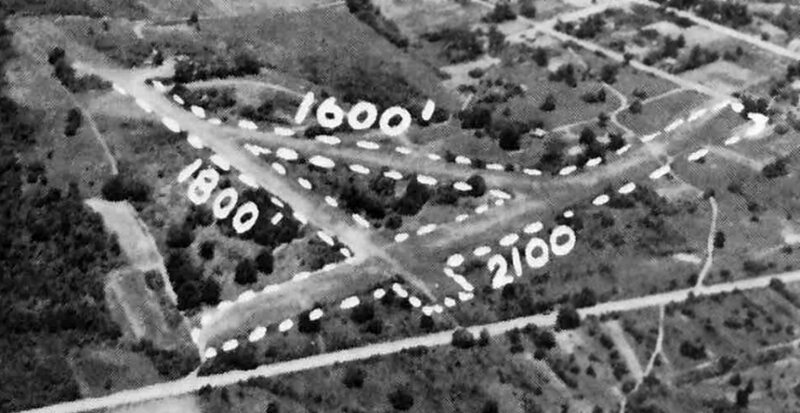 It depicted a single unpaved northeast/southwest runways, labeled simply as “Landing Strip”, with 2 small buildings on the southwest side. 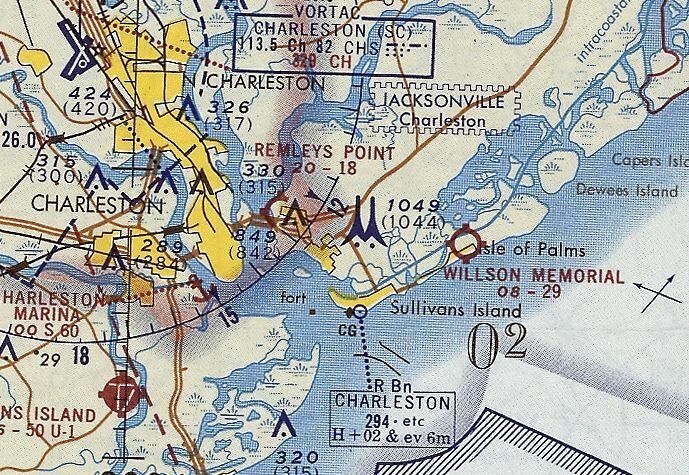 The 1959 Savannah Sectional Chart depicted Isle of Palms Airport as having an 1,800' unpaved runway. as that is how it was labeled on the 1961 Savannah Sectional Chart (courtesy of Lester Hollans). Wilson was depicted as having a 2,100' unpaved runway. Lester Hollans recalled, “In 1962 I was flying an Army L-19 Bird Dog from Fort Rucker, AL, to Charleston AFB. When I arrived the 65 mph tailwind I had enjoyed was going to prevent me or anyone else from landing at Charleston because it was a direct crosswind there. I knew I'd crash & roll into a ball, so I asked for permission to land my little plane straight across the runway, into that 65-mph wind. I would only need about 300' to land under the circumstances. Hollans continued, “I was nearly out of fuel & had to find somewhere to land. It was near sunset by now. I remembered from my weather classes that the winds shift in the evening & come in from the ocean as the ocean surface cools. I correctly assumed that would cancel the high winds coming from the West. I found a little field on the beach to land on & slept on the beach. That field was the (Harold F.) Wilson Memorial Airfield at Isle of Palms. It had an 1,800' oyster-shell-covered runway & was parallel to the Intercoastal Waterway. The last aeronautical chart depiction which has been located of Wilson Memorial Airport was on the September 1970 Charlotte Sectional Chart (courtesy of Ron Plante). Wilson was depicted as having a 2,900' unpaved runway. 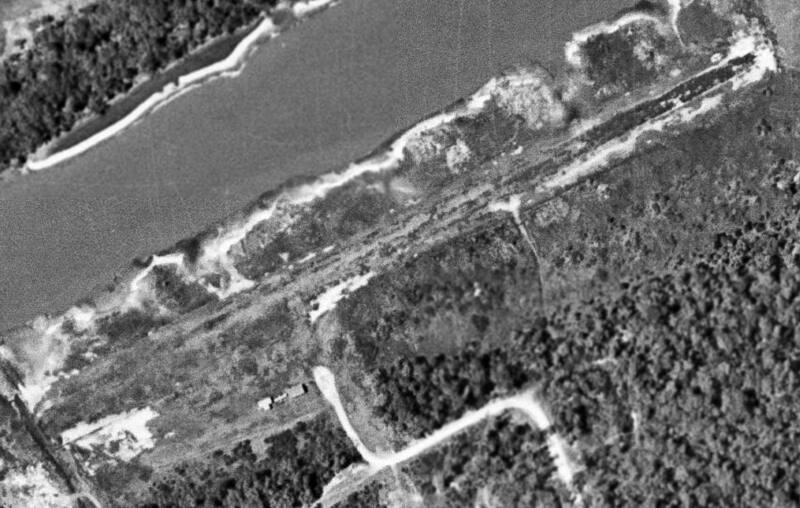 The last photo which has been located showing Isle of Palms Airport in operation was on a 12/26/71 USGS aerial view. It showed Isle of Palms Airport at perhaps the zenith of its popularity, with 8 single-engine aircraft parked next to the 2 T-hangars on the southwest side of the field. The 1973 USGS topo map still labeled it as “Landing Strip”. The airport was labeled “Harold F. Wilson Memorial Airport” on the 1980 USGS topo map. A 2/9/89 USGS aerial photo showed the 2 hangars had been removed, and a golf course was being constructed on the runway. The 1990 USGS topo map still depicted a single runway, but without any label. 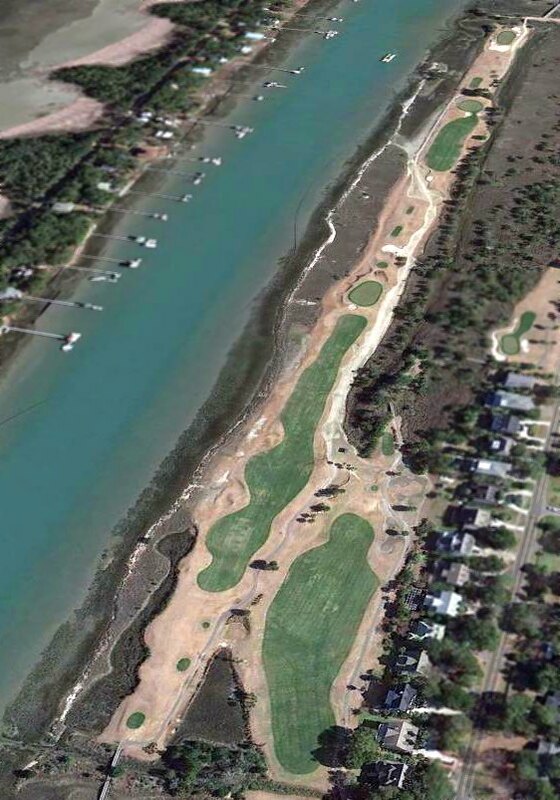 A 2/8/13 aerial view looking northeast showed a golf course covering the site of Isle of Palms Airport. The site of Isle of Palms Airport is located North of the intersection of Waterway Boulevard & 31st Avenue. Thanks to Thomas Page for pointing out this airfield. An undated aerial view looking west at Remleys Point Airport from a circa 1957 SC Airport Directory (courtesy of Don Fraser). nor on the 1948 USGS topo map. “Major William North operated the Remley’s Point Airport from about 1950. The earliest depiction which has been located of Remleys Point Airport was an undated aerial view from a circa 1957 SC Airport Directory (courtesy of Don Fraser). and listed the manager & owner as W.O. Pickney, and the operator as W.W. North. A 3/11/57 USGS aerial photo depicted Pinckney Airport as having 3 unpaved runways, with 5 single-engine aircraft parked near a small building on the northwest side. 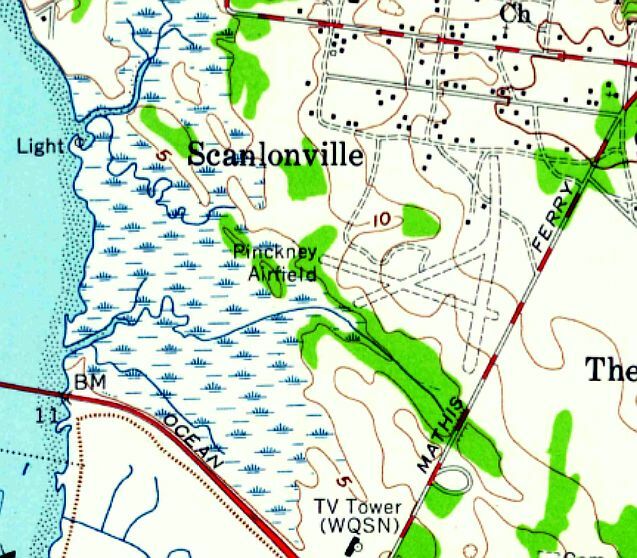 The earliest topo map depiction which has been located of Pinckney Airport was on the 1958 USGS topo map. 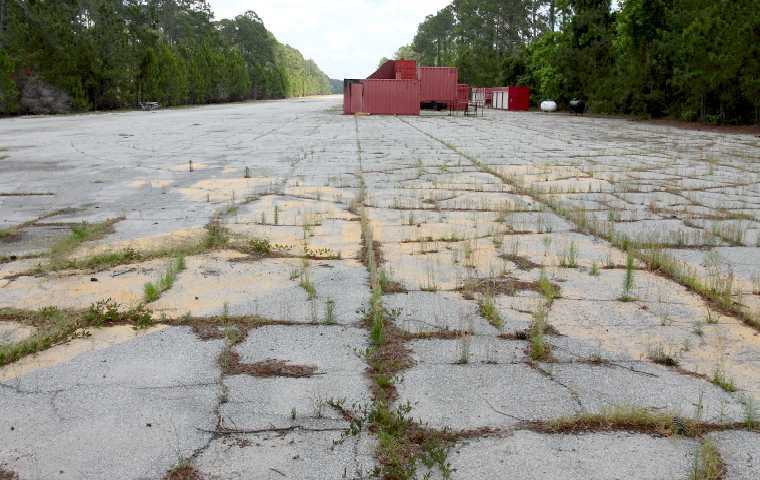 It depicted “Pinckney Airfield” as having 3 unpaved runways, with 2 small buildings on the north side. 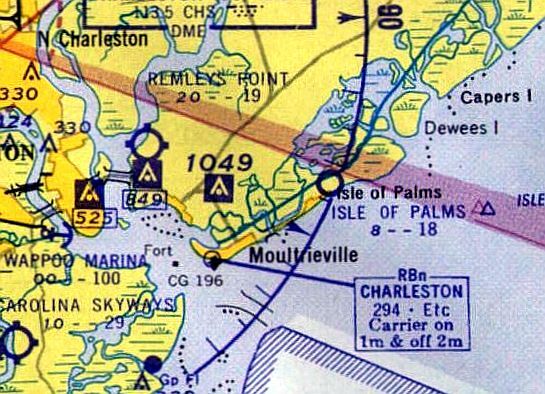 as the 1959 Savannah Sectional Chart depicted Remleys Point as having an 1,900' unpaved runway. 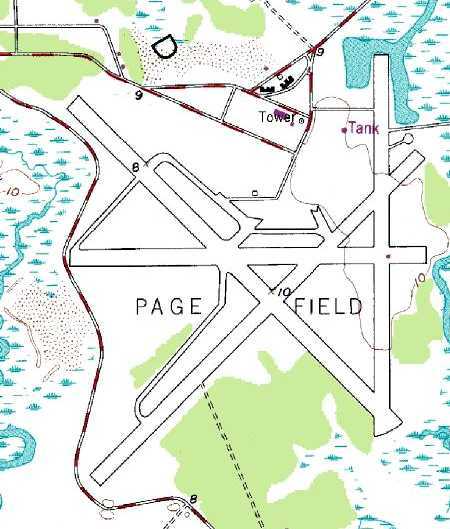 The 1968 USGS topo map still labeled it as “Pinckney Airfield”. 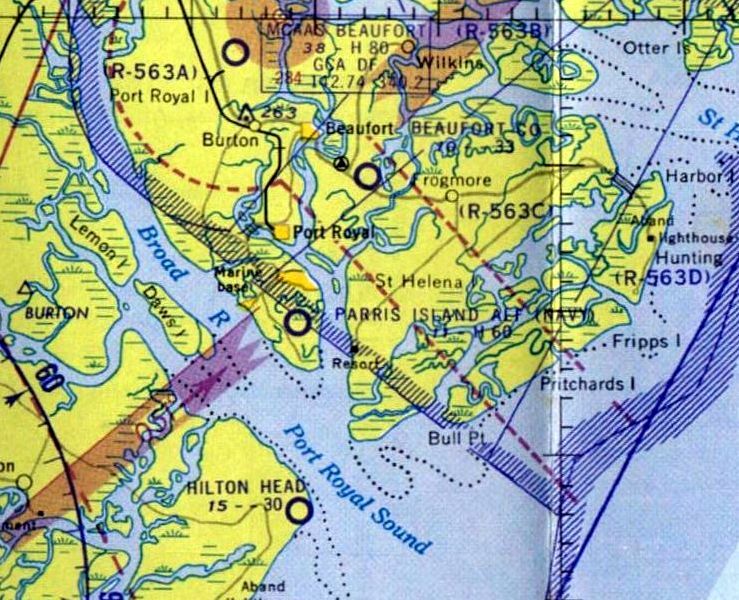 The last aeronautical chart depiction which has been located of Remleys Point Airport was on the September 1970 Charlotte Sectional Chart (courtesy of Ron Plante). 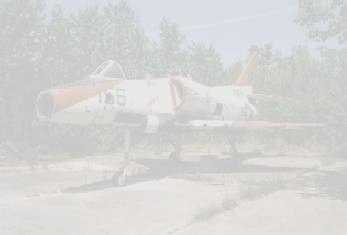 It depicted Remleys Point as having an 1,800' unpaved runway. 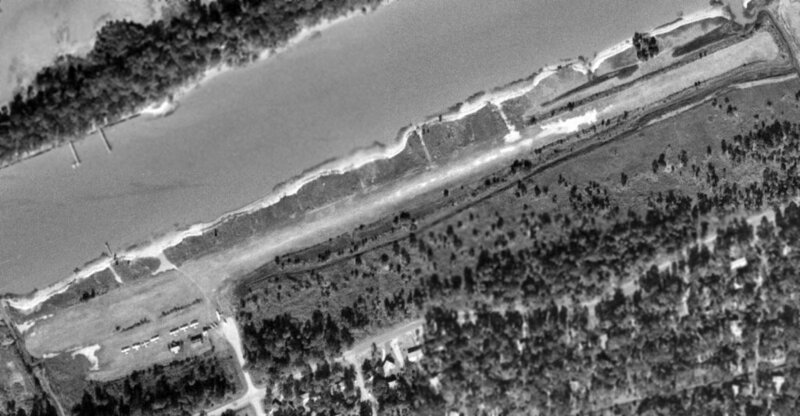 The last photo which has been located showing Remleys Point Airport in operation was on a 12/28/71 USGS aerial view. The runways were still clear, but only a single aircraft remained parked on the west side of the field. 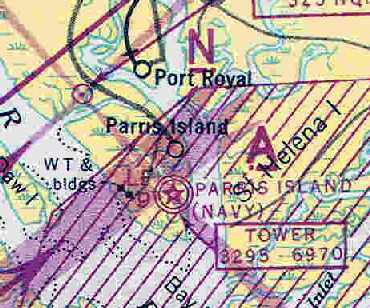 The 1973 USGS topo map labeled it as “Remley Point Airport”. 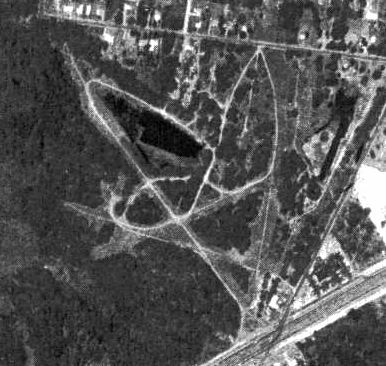 The last photo which has been located showing any trace of Remleys Point Airport was on a 1978 aerial view (courtesy of Thomas Page). The outline of the runways was still recognizable, though deteriorated. The 1979 USGS topo map no longer depicted the airport at all. though the majority of the airport site had been covered by houses & other buildings. 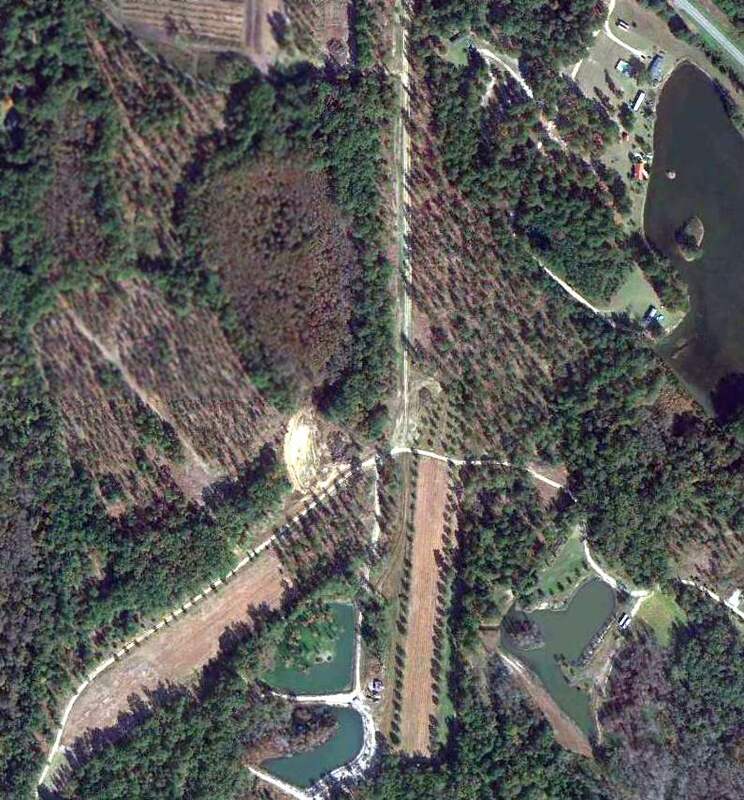 A 2/8/13 aerial photo showed no trace remaining of Remleys Point Airport. The site of the Remleys Point Airport is located at the intersection of Wingo Way & Alexandra Drive. 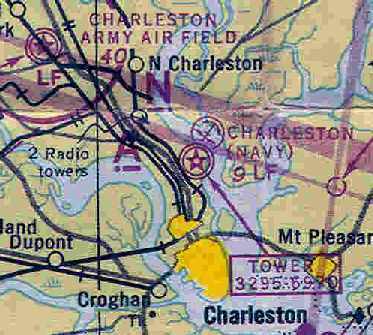 The Charleston Navy Yard Airfield, as depicted on the September 1935 V-237 U. S. Navy Aviation Chart (courtesy of Chris Kennedy). along the banks of the Cooper River on the south end of the Charleston Navy Yard during WW1. The air station was reportedly closed at the end of WW1. in the 1934 Department of Commerce Airfield Directory (courtesy of Chris Kennedy). a 1,680' northwest/southeast strip & a 1,600' northeast/southwest strip. A hangar was said to be located at the field. depicted the field as having 2 sod runways, measuring 1,680' & 1,600'. depicted an open grass area with multiple buildings along the north side of the field. and then commissioned Charleston Coast Guard Air Station in 1939. A circa 1939 photo of a large number of seaplanes at the Coast Guard ramp at Charleston (courtesy of George Miller). The building in the center foreground is #101, the Torpedo Warehouse. The building at left, #590A, used at the time as a Coast Guard barracks, still exists today. was on the November 1940 Savannah Sectional Chart (courtesy of Chris Kennedy). nor on the the August 1942 14M Regional Aeronautical Chart (according to Chris Kennedy). [Note that this earlier field was eventually replaced by a somewhat larger airfield 1.5 miles to the southeast]. the site of the original Charleston Navy Yard Airfield had been covered by numerous buildings. 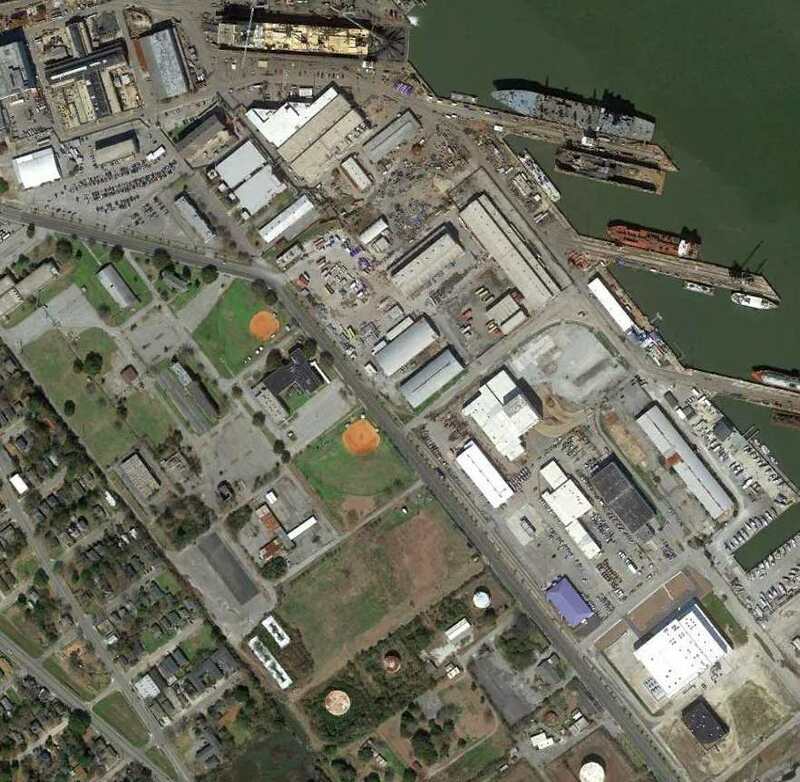 The Charleston Navy Yard was recommended for closure by the 1993 BRAC. 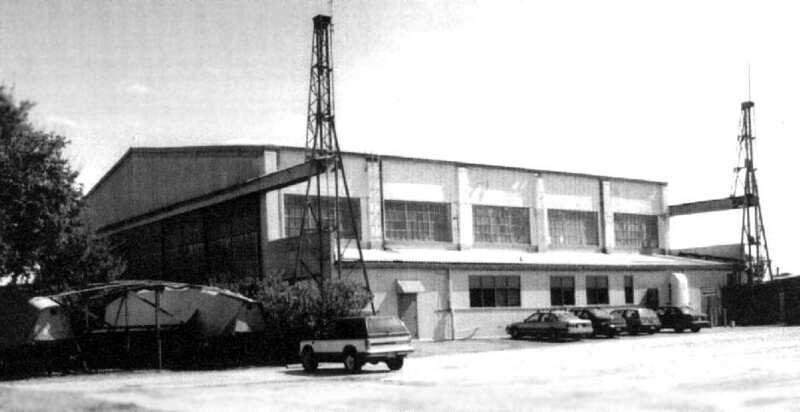 The facilities were privatized, and turned over to the Detyens Shipyards in 1993. 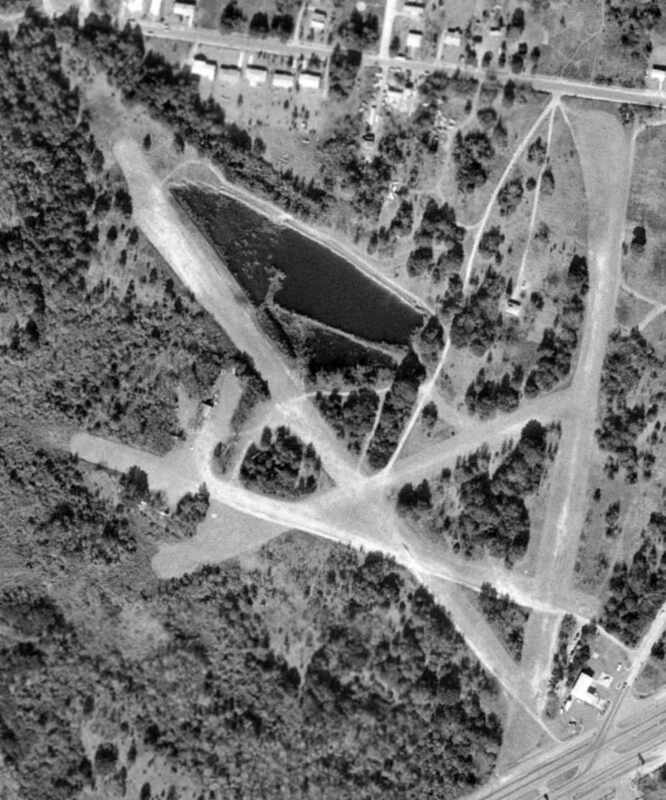 A 3/1/14 aerial photo showed the site of the original Charleston Navy Yard Airfield to be covered by numerous buildings. 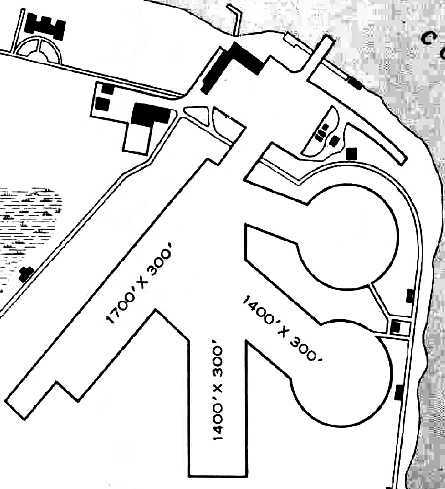 Note the cross-shaped building adjacent to the north side of the airfield property, which was also depicted on the 1935 diagram. It is not known if any of the airfield hangars remain standing. The site of the original Charleston Navy Yard Airfield is located at the intersection of North Hobson Avenue & Necessary Lane. 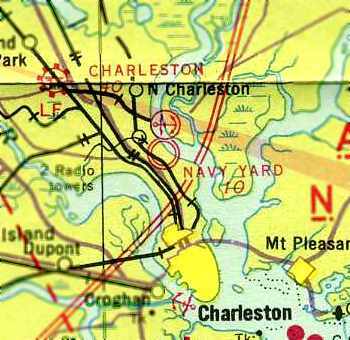 The "Charleston (Navy)" airfield & seaplane base, as depicted on the 1943 Savannah Sectional Chart (courtesy of Chris Kennedy). at the Charleston Navy Yard Airfield was replaced by the Navy. to support a squadron of 12 seaplanes & 2 blimps. 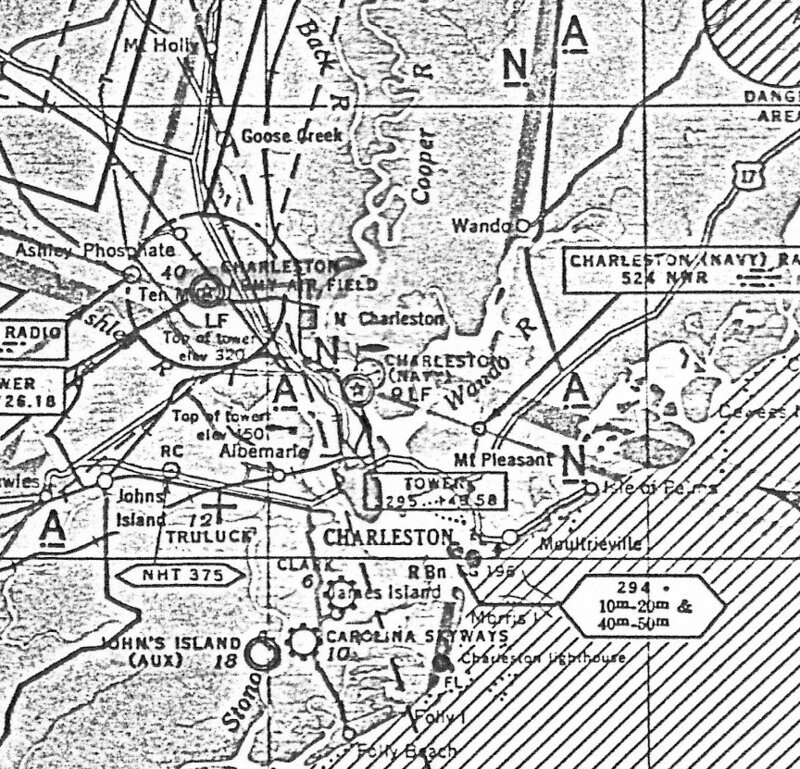 Naval Air Station Charleston was commissioned in 1942.
was on the 1943 Savannah Sectional Chart (courtesy of Chris Kennedy). During the war, PBY & PBM seaplanes from Jacksonville flew operational patrols from Charleston. 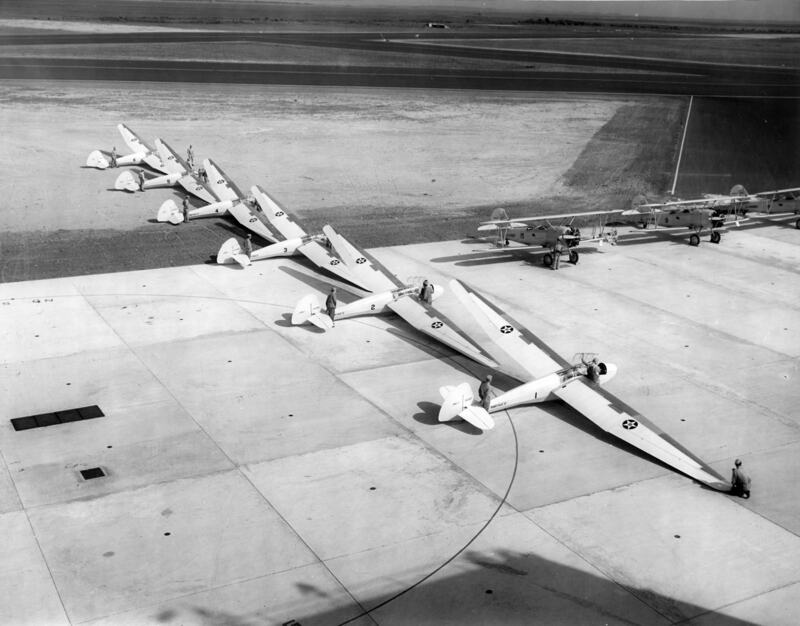 ZP-15 from Glynco NAS maintained a continuous detachment of 1 or 2 blimps that flew daily ASW patrols. In 1944, the station complement consisted of a total of 886 personnel. A WW2-era National Archives photo, looking north at the runway at Charleston (note the blimp at the center of the picture). 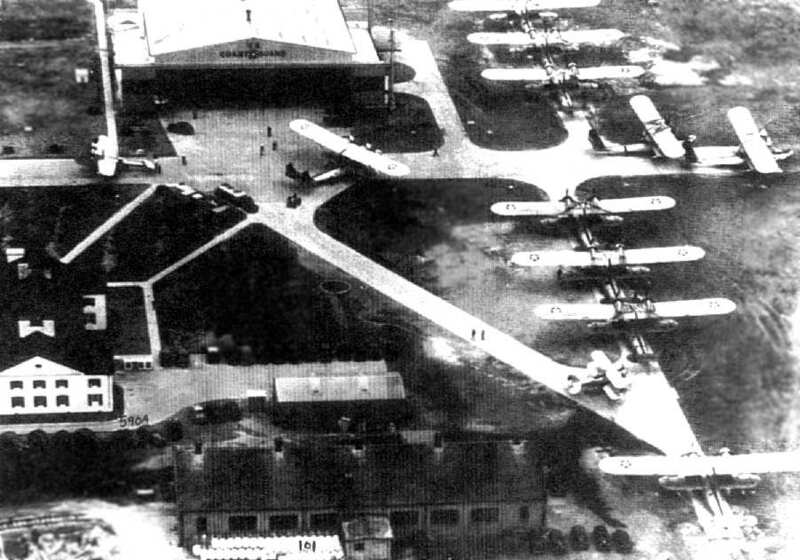 The NAS Charleston airfield consisted of three 1,400' asphalt runways, 2 blimp mooring circles, and a seaplane hangar. With such short runways, only very small or lightly loaded landplanes could operate from the facility. Larger Navy aircraft were forced to operate from Charleston AAF, 4 miles away. and 2 circular blimp mooring circles. The field was said to have 2 hangars, the largest being a 120' x 100' steel & cinderblock structure. and had one auxiliary field: John's Island Outlying Field, 11 miles SSW. was on the March 1944 Savannah Sectional Chart (courtesy of Ron Plante). 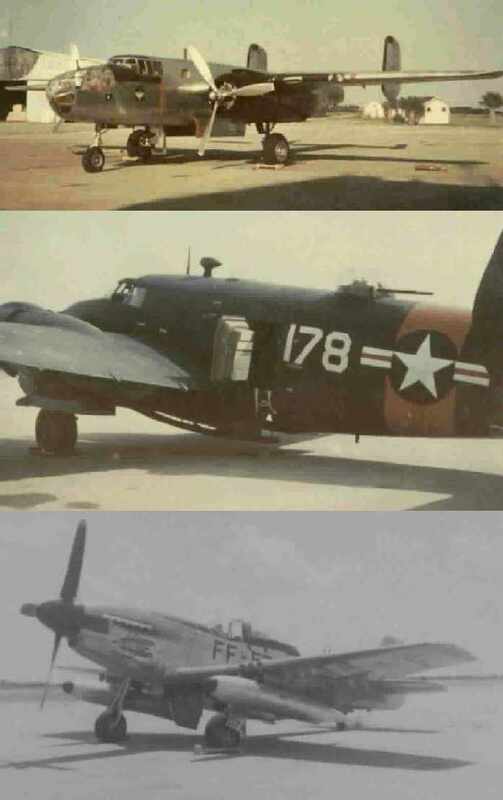 Aviation operations at Charleston NAS apparently ended at an unknown date after WW2. 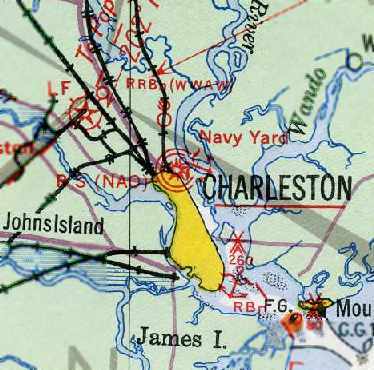 Charleston NAS was no longer depicted at all. 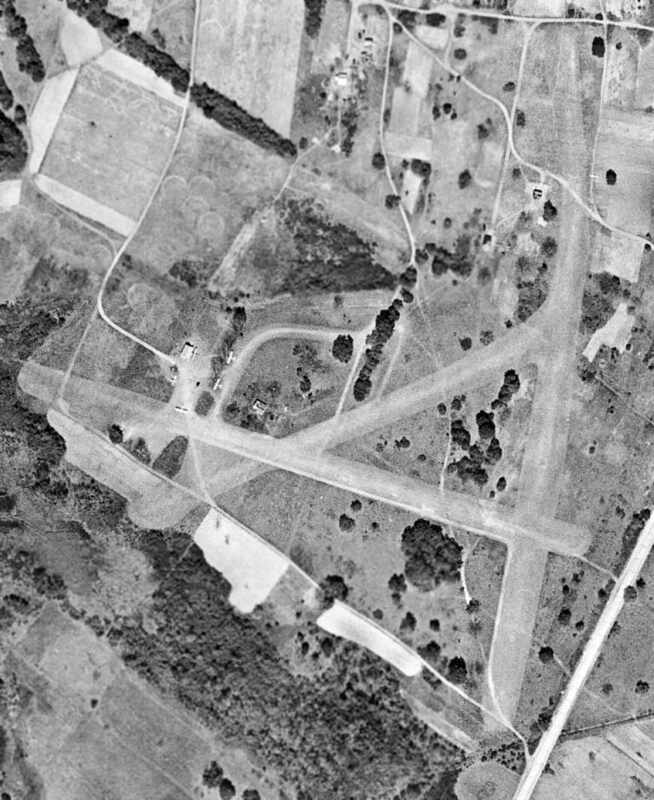 A 1957 aerial photo still showed the majority of the airfield site to remain clear. were built on the site of the former Naval Air Station. 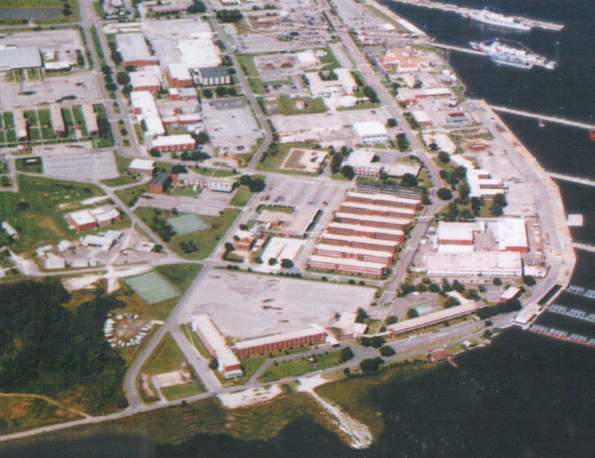 A 2000 aerial view looking northwest at the site of NAS Charleston. A 2002 photo by George Miller of an original hangar from Charleston NAS. which remains as the only trace of the former airfield. 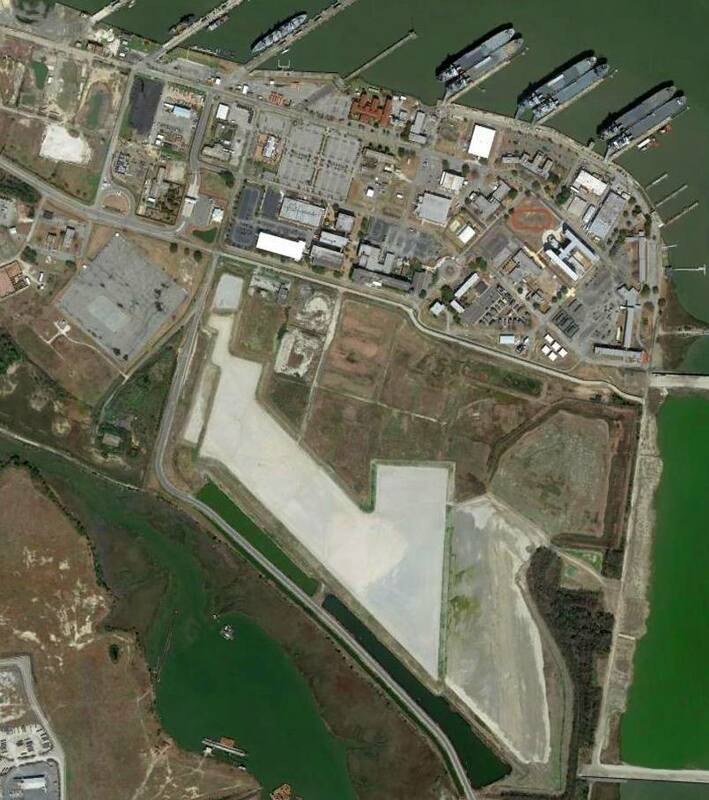 A 3/1/14 aerial view of the site of NAS Charleston. The site of NAS Charleston is located at the intersection of Juneau Avenue & Thompson Avenue. A circa 1928-30 Department of Commerce Airway Bulletin depiction of Paris Island Landing Field (courtesy of Tom Heitzman). the Marine Corps' port of entry for Marine Recruits who live east of the Mississippi River. 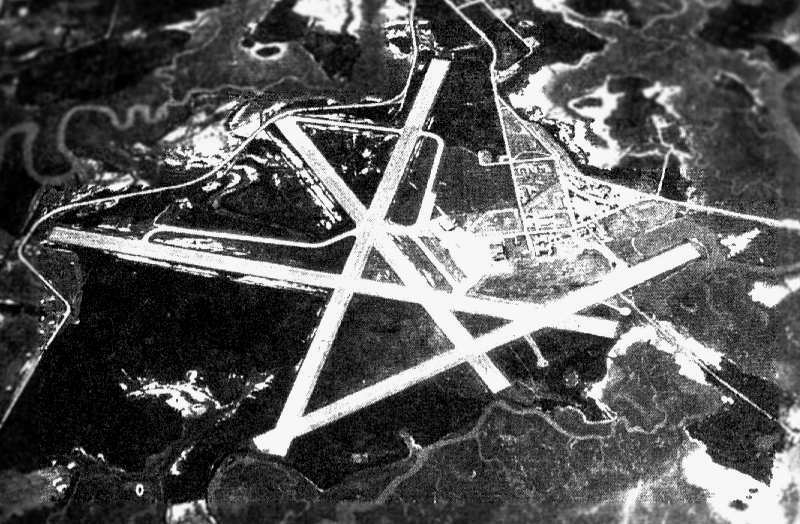 An airfield was first constructed at Parris Island in 1919.
and it was the home station of the aviation forces of the Atlantic Coast Advanced Base & Expeditionary Forces. The field was closed in 1921, and abandoned by 1922.
was a circa 1928-30 Department of Commerce Airway Bulletin (courtesy of Tom Heitzman). with a landplane hangar, seaplane hangar, and seaplane ramp on the northeast side. In the late 1920s an airship mooring mast was erected at Page Field. who died in a 1930 crash of an XF6C-6 Hawk during the Thompson Trophy Race at Chicago. several metal hangars were relocated by the Marines from Nicaragua to Page Field. Many were eventually torn down after being damaged by the many hurricanes to pass through coastal SC. as having two 2,000' sod runways, oriented east/west & north/south. and hangars were said to be located on the north side of the field. The earliest aeronautical chart depiction which has been located of Page Field was on the 1936 DC to Savannah Airway Chart. It depicted Page as a military airfield, and also depicted the field's airship mooring mast. continued to depicted Page Field along with its airship mooring mast. 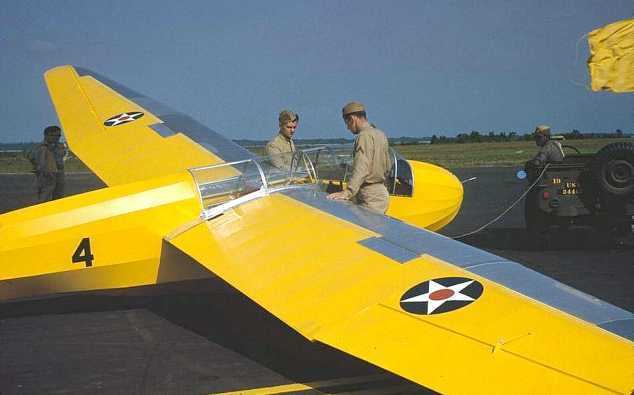 It later also used Aeronca LNR-1 gliders for training. For towing the unit used N3N Canary biplane trainers & J2F Duck amphibians. A May 1942 photo of an unidentified Marine Corps training glider at Page Field (courtesy of FFI). 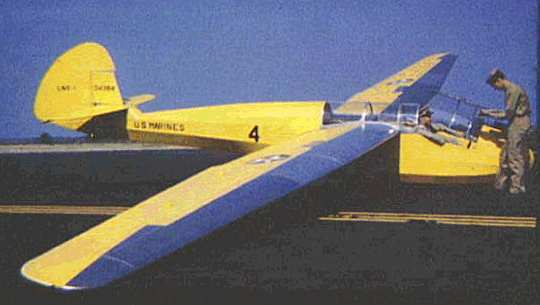 A 1942 photo by Alfred Palmer of a Marine Corps glider at Page Field. 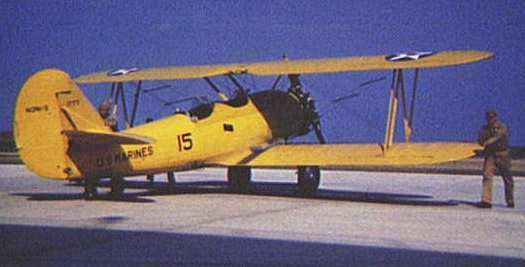 A 1942 photo by Alfred Palmer of a Naval Aircraft Factory N3N-3 "Yellow Peril" biplane used to tow gliders aloft at Page Field. 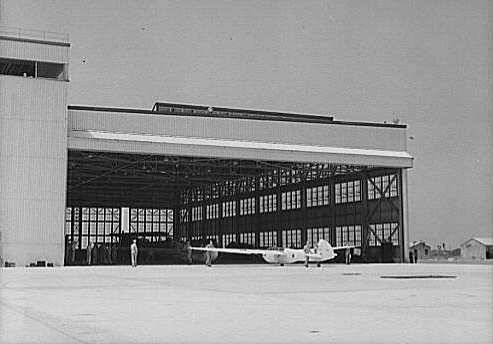 A 1942 photo by Alfred Palmer of a Marine Corps glider in front of a hangar at Page Field. 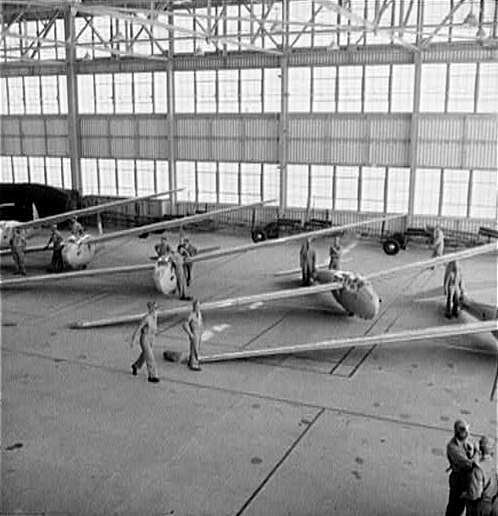 A 1942 photo by Alfred Palmer of Marine Corps glider inside the hangar at Page Field. 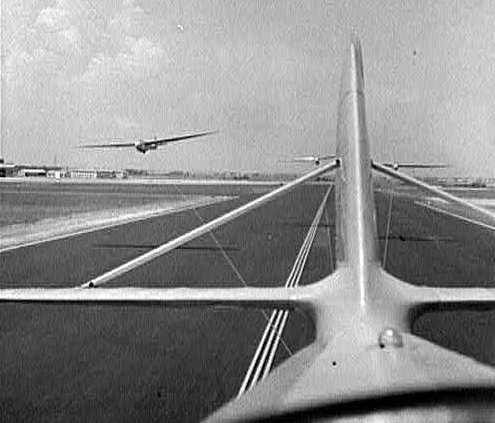 A 1942 photo by Alfred Palmer of Marine Corps gliders taking off from the runway at Page Field. A May 1942 National Archives photo of Marine Corps gliders & biplanes at Page Field. "Paris Island (Navy)", as depicted on the 1943 Savannah Sectional Chart (courtesy of Chris Kennedy). showed that the field had been expanded considerably since 1934. The directory described Page Field as a 750 acre irregularly-shaped property containing 4 asphalt runways, the longest being the 6,000' northeast/southwest strip. The field was said to have 3 metal hangars, the largest having a 98' x 28' door opening. The field was said to have 2 auxiliary fields: Georgetown County Outlying Field (11 miles northeast), and Hilton Head Island Outlying Field. An undated (WW2-era?) aerial view looking northwest at Page Field (courtesy of George Miller). Page Field was placed in a maintenance status in 1946.
and described as having a 6,000' hard-surface runway. 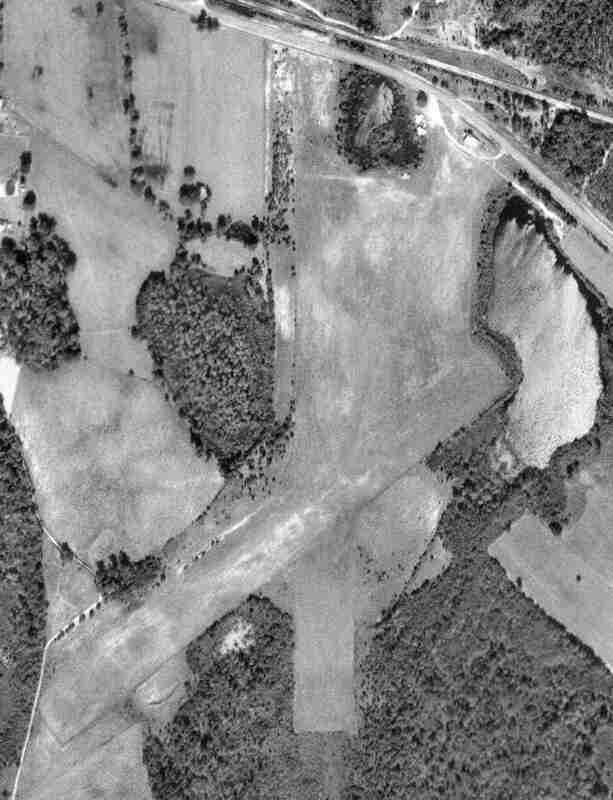 A 3/23/51 USGS aerial photo depicted Page Field as intact but without any aircraft on the field. A series of circa 1952-53 photos by Kenneth Cutteridge of transient aircraft at Page Field: a Curtis R5C, Fairchild R4Q, and Chance-Vought F4Us. “Some of the pilots that dropped in were Master Sergeants that had been in WW2 as officers. The hangar on the left I believe was brought up to Page Field from Nicaragua..
Kenneth Cutteridge recalled, “I was stationed at Page Field from February 1952 - June 1953. I was one of 7 Aviation Crash Crew Firefighters there. We were caretakers of the field (800 acres) and stood by with our fire trucks when a plane landed. 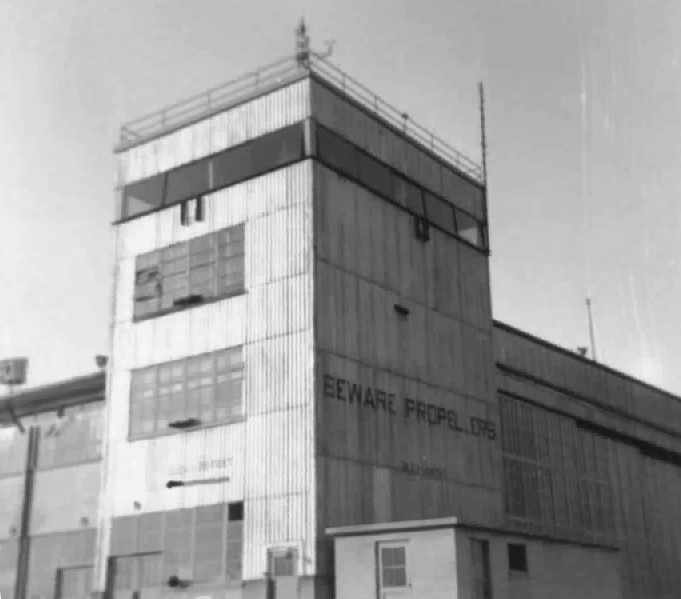 A series of circa 1952-53 photos by Kenneth Cutteridge of the Control Tower on the southeast corner of Page Field's main hangar. 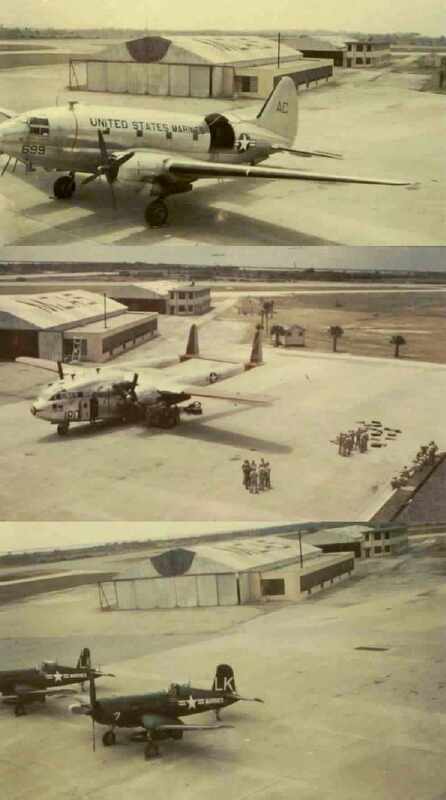 A series of circa 1952-53 photos by Kenneth Cutteridge of transient aircraft at Page Field: a B-25 Mitchell, Lockheed PV-2, and a F-51 Mustang. 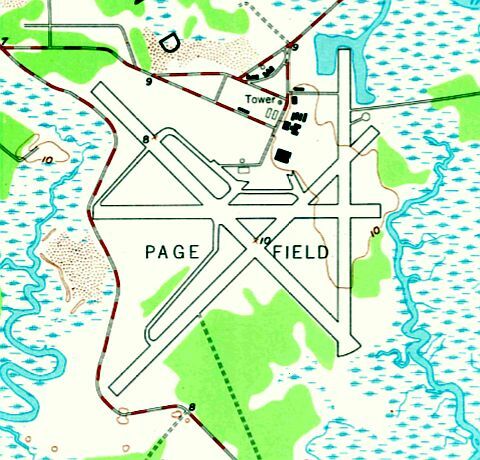 The 1956 USGS topo map depicted Page Field as having 4 runways, taxiways, a few buildings, and a tower. was on the July 1959 Savannah Sectional Chart. 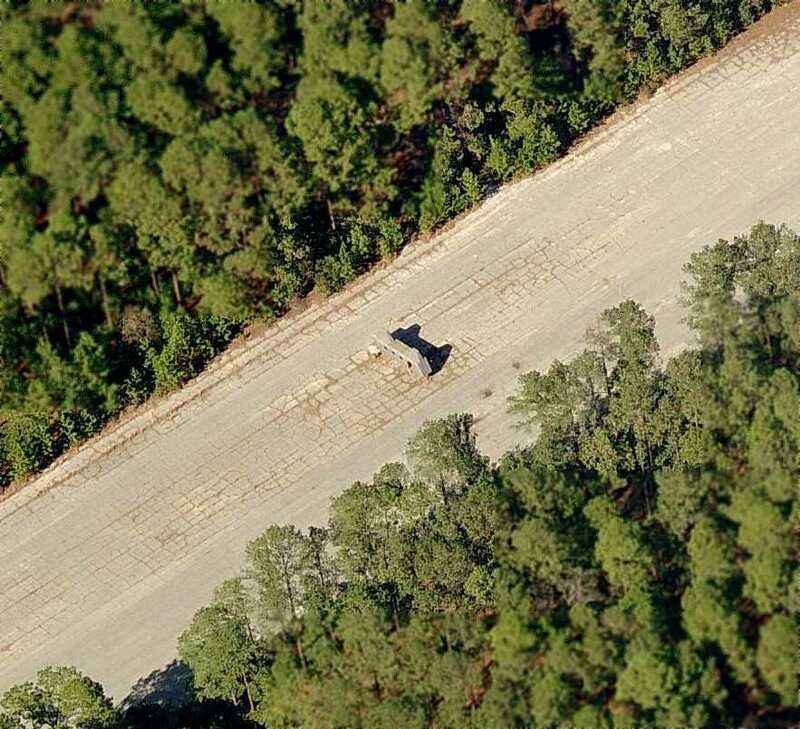 It depicted “Parris Island ALF (Navy)” as having a 6,000' paved runway. labeled the field as “Parris Island ALF (Navy) (Closed)”. It depicted the field as having a 6,000' paved runway. my father said he remembered aircraft from MCAS Beaufort still did 'touch-n-gos' there until the early 1960s, including the first jets. The 1983 USGS topo map depicted the 4 runways, taxiways, a few buildings, and a tower at Page Field. 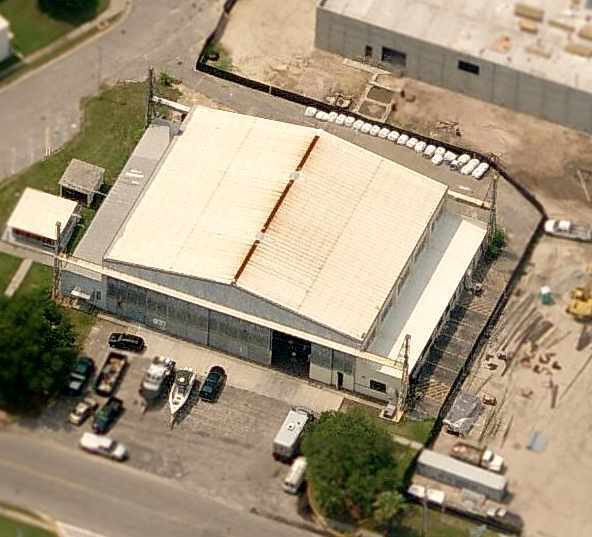 of Page Field's former headquarters building (possibly a former hangar? ), now gone. the 4 concrete runways (the longest is 6,200' long) still existed in quite good condition. an older lady emergency-landed here when her plane ran out of gas on the way to Hilton Head. there is evidence of one abandoned hangar which is now used to store recruit training equipment. and a wooden mock up of a CH-46 helicopter on one of the runways. but the marks are mostly gone. Today, the Page Field property is used mostly for Marine recruit training exercises. A 1999 photo by Matt Lockman of the remains of a Brewster SB2A Buccaneer which crashed on approach to Page Field in 1943. 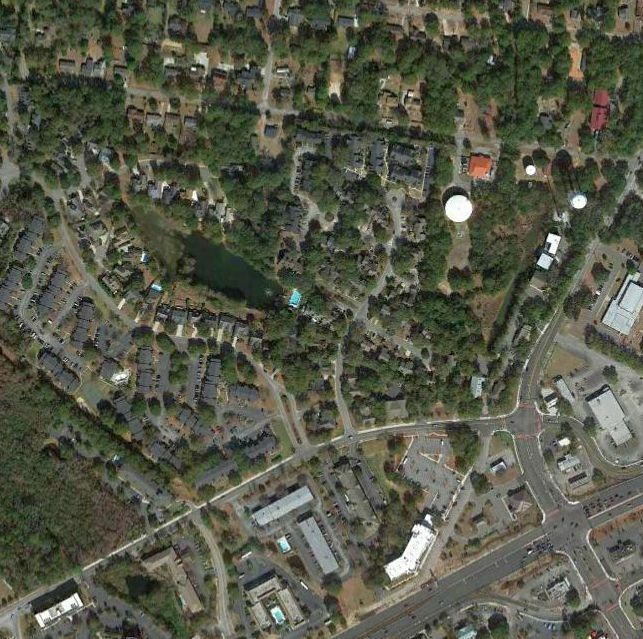 Matt reported, “An interesting side note: The Parris Island golf course is southeast of the airfield. Behind the club house is the entrance to a nature trail that meanders through the very southern tip of Parris Island. 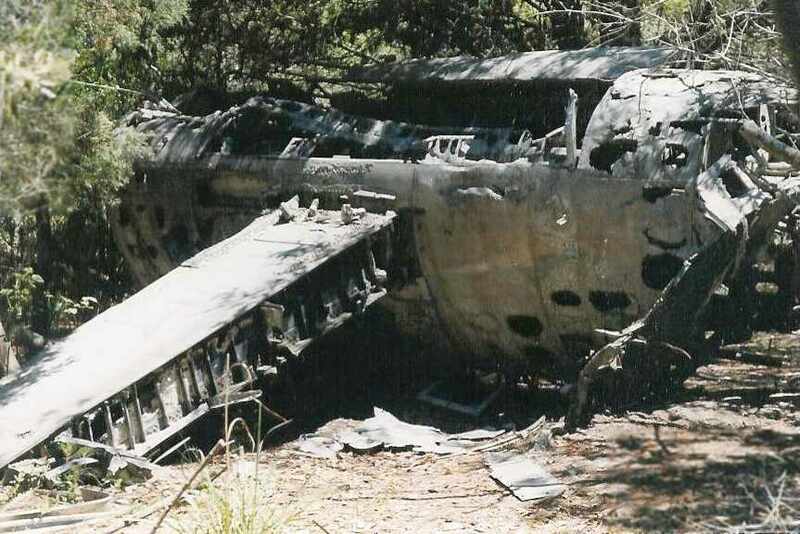 Along the trail lie the remains of a Brewster SB2A Buccaneer that crashed on approach to Page Field during WWII. at the entrance to Page Field at the corner of Cuba & Henderson Streets. and what activities took place there, primarily focusing on pre-WWII. and is used to conduct portions of USMC recruit training. A grenade range is located to the northeast of the runways on a separate small island. A tear gas chamber is located near where the airfield HQ building once stood. A company office & rappelling tower is located nearby. is well suited for day & night land navigation training. The asphalt runways are not maintained and are showing evidence of decay. pull-up bars, bleachers, and an obstacle course. visible from Belleau Wood Street, but was removed in 1998 (?) at the request of the Army for one of their museums. but I believe these were also removed & distributed to units at Camp Lejeune, NC and Quantico, VA as training devices. a plywood mockup of a CH-46 helicopter fuselage on the northeast/southwest runway. in the sandy marsh near what is now the golf course. As a former ordnanceman, I new exactly what it was when I first saw it. and rusted lumps of twisted metal in the wet tidal sand all around. These were bombs, since some still had small traces of blue paint - the color of 'dummy', or practice, bombs. These were hollow but usually filled with water as you could tell they had impacted hard enough to burst them. and some remnants of asphalt that appeared to have been added later. around the time the first biplanes were stationed at Page Field. The man-made mounds that cover the old aviation fuel bunkers are still there also, near the recruit gas chamber. as has the drydock, where battleships once fueled and repaired. Chunks of coal can still be found along the water there. or even porcelain electric fence insulators (for livestock during the depression) in the middle of nowhere. A March 2010 photo by Erin M. of an Army MH-60 Blackhawk conducting special operations training at Page Field. attracted an elite Army special operations unit to the Lowcountry over the weekend to train its helicopter pilots. touched down Friday at Page Field to begin preparing for 2 days of offshore training. Nicknamed 'The Night Stalkers', the unit is based in Fort Campbell, Ky., and specializes in attack, assault & reconnaissance missions usually conducted at night. The article continued, “Two by two, the unit's helicopter pilots will be taken at least 100 miles offshore & left to navigate back to Page Field in the dark. 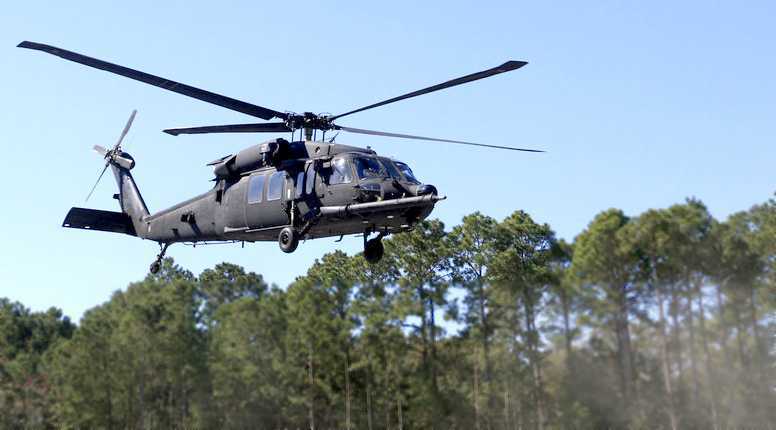 "We like to use this target because it's very difficult to find," said Hal, an Army chief warrant officer & one of the unit's Black Hawk pilots. The Army does not release the last names of soldiers assigned to its special forces units. "You can't go anywhere in this area and be more than like 5 feet above sea level," he joked. "So it's basically one big table top & cut into these 100-foot pines is this runway, which isn't lit. If you didn't do your mission planning properly, you'd never find it." 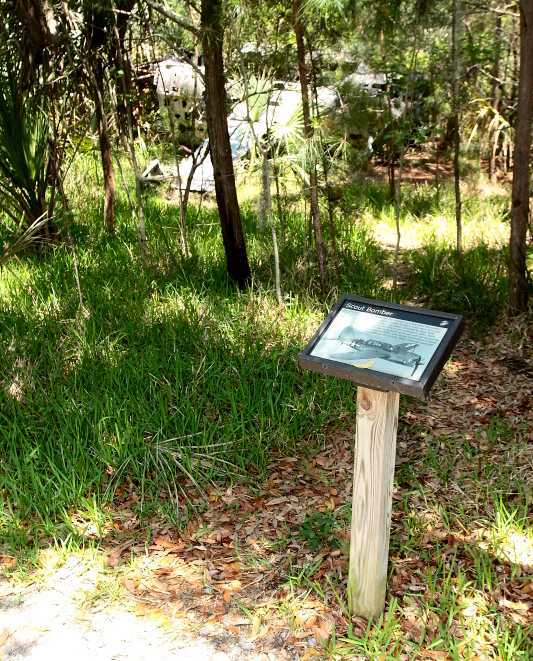 A 5/6/12 photo by Mike Legeros of a historical sign in front of the wreckage of a Brewster SB2A Buccaneer, “on a nature trail near golf course. A 5/6/12 photo by Mike Legeros of fire department training equipment on the remains of a Page Field runway (note the faded closed-runway yellow “X” in the foreground). A 11/1/12 aerial view of Page Field showed the 4 concrete runways still remained in quite good condition. There were also foundations from numerous buildings just north of the airfield. Page Field is located at the southern end of Henderson Street.